Losing your cool? 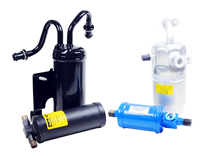 When your air needs repair, Auto Air Online is the best source for all your automotive air conditioning parts online. 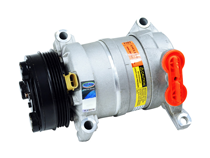 We specialize in quality new and remanufactured air conditioning compressors and other auto air conditioning parts. 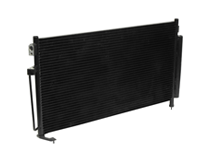 Auto Air Online offers a full line of OEM and aftermarket automotive air conditioning parts at wholesale prices direct to the public and to automotive repair shops. 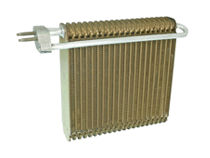 All our auto AC parts are guaranteed against manufacturer defect for a full year after purchase. 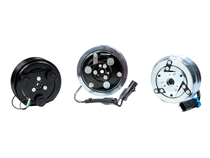 We'll deliver the parts you need at prices you'll love. 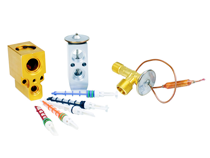 Our secure ordering system makes it easy to find the right parts. But what really makes us stand out from the competition is our expert staff standing by to provide answers to any questions you might have. We'll ship your order out fast, and if your order totals $75 or more, shipping is free to lower 48 states. Shipping to Alaska and Hawaii has shipping costs that are determined by weight and location. You will be able to view shipping costs during checkout. We do ship to APO/FPO and International addresses; See Shipping Outside the US for more details. 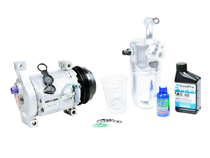 At AutoAirOnline.com you'll find complete AC installation kits, compressors, accumulators, condensers, clutches, evaporator cores, expansion valves, orifice tubes, receiver/driers, blower motors, cooling fans, hose assemblies, relays, switches and any other auto air conditioning parts you could possibly need to repair most automotive air conditioning systems. 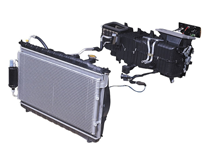 We make it easy to find the parts that fit your vehicle and your AC system. Please feel free to call us Toll Free at 1-800-726-2310 or Email Us with technical questions about your auto air conditioning system or ordering help.